Anyway, we actually lost a little bit of time together because I got sick. It’s bitterly cold in Beijing, the air is dry, and I had a sore throat I couldn’t shake. My dad told me to go see a real doctor, but I’ve always wanted to try Traditional Chinese Medicine. Astrid came with me to a TCM clinic, where she asked for a massage and they suggested a “cupping” treatment to cure my ailments. Okay, I know you don’t know what this means, and neither did I. Cupping is like a massage, but instead of someone massaging you, they take empty glass cups, place a lit match in them to heat the air inside, then place the cups facedown on your back so that it forms a tight, painful suction. Then they drag the cups across your skin as they pull out toxins and leave you with circular purple bruises the size of tennis balls. It will also cause you to continually yelp the only Chinese word you will remember: Teng. Translation: Pain. Teng! Teng! TENG! Meanwhile, Astrid was in the next room, getting a relaxing massage. 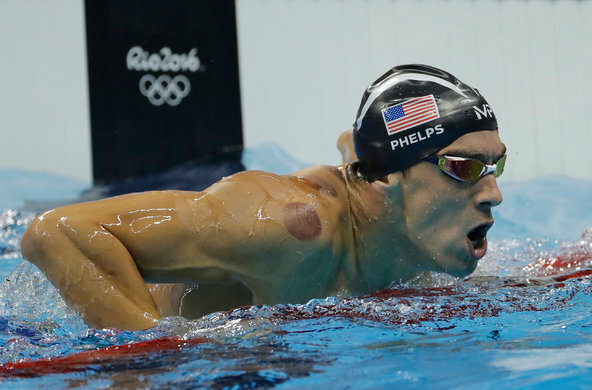 Cupping is supposed to cure anything but cholera. Apparently I had cholera. And as always, read the rest of the book here. P.S. Perhaps I’m unlucky, but my swimming skills did not improve. But I did bruise like a champion.